Are you ready to make friends with a robot? You'll soon need to be. Have you ever gotten angry with your GPS app’s insistence that you take a slower route and shouted at it, as if it were a person? Or have you ever laughed at a wisecrack made by Siri in response to a tongue-in-cheek question you asked? Or have you ever referred to Alexa the way you would a person, telling a friend she’s “listening” or getting mildly freaked out by her creepy, disembodied laughter? You’re not alone. Humans have a long history of personifying inanimate objects, whether it’s saying “excuse me” to a chair accidentally, referring to ships as “she” and “her,” or recognizing a smiling face in the random patterns of a tree trunk and considering it, somehow, more “alive.” In today’s era, where our digital devices can have basic interactions with us, it’s even easier to assign these personable labels. Still, for the time being, most of us refer to Siri, Alexa, and the other chatbots in our life as people as a tongue-in-cheek acknowledgment of how far these gadgets have come. It’s a joke. But soon, it may come to be a reality—and we’ll all need to learn to interact with chatbots, AI, and even our most basic handheld gadgets if we want to make the most of our high-tech environment. 1. Intuitive interfaces. For starters, communicating in human-like conversational snippets is almost always more convenient and more intuitive than learning a new machine-like language. Think about how easy it is to ask Siri a question, rather than trying to figure out the exact combination of keywords that will give you the result you want. This makes technology more accessible to a bigger population, and makes it easier to engage with technology in your daily life, such as getting assistance around the house. 2. Personal support. 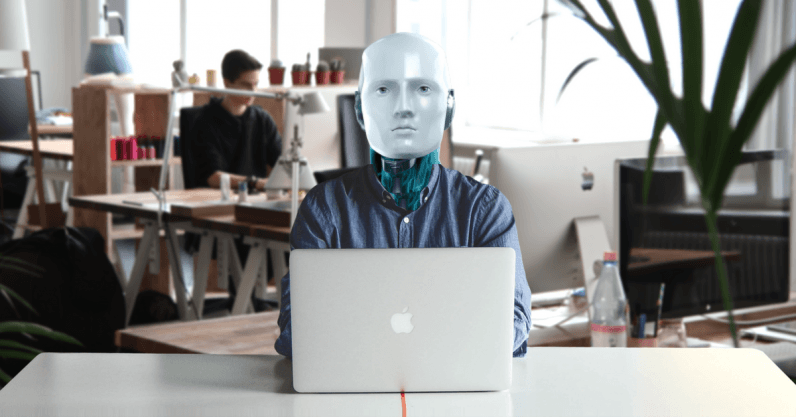 Human-like features and conversational abilities would also be vital for successful automation in fields that require some personal connection, such as therapy, or home healthcare. Robots with human affect could even be used to help socialize children with developmental disabilities, or those in a situation where they can’t interact with children normally. 3. Customization. Robots that “understand” and can interact with humans like a friend could also learn to adapt to their human, gauging their mood based on their expressions and finding the right things to say at the right time. 4. User retention. Engaging with a friend is better than engaging with an inanimate object, so adding a layer of friendliness and conversation could be exactly what it takes for apps and devices to increase user retention. There are already some examples of AI programs and robots designed to mimic human expressions, feelings, and tones beyond the limited functionality of modern chatbots. 2. Pepper. From Softbank Robotics comes Pepper, a cartoonish humanoid robot with a screen on its chest designed to read human emotions. Rather than focusing on home healthcare, Pepper is designed for business purposes, analyzing things like facial expressions, tone, and vocabulary to learn how its human interactors are feeling, then adjusting its communication accordingly. 3. Zenbo. Zenbo is more of a generalist robot, reminiscent of BB-8 and designed for the average household. It has a vaguely human-like face portrayed on a screen, and can move around your house, speaking and receiving verbal commands. The face itself can transmit a complex range of human-like emotions, and can respond to your verbal and nonverbal cues to give you a more optimized experience. 4. Woebot. Unlike the other bots on this list, Woebot doesn’t have a corporeal form. Instead, it’s a chatbot app designed to help you monitor your mood, lend insights, and adjust to your conversational tone and vocabulary. Essentially, it’s a robot therapist in app form. The uncanny valley is a description for a trend applied to the aesthetics of a given object (in many cases, a robot). Essentially, the more human-like an object tends to get, the more favorably it’s seen; for example, talking cartoon animals are often given more human-like facial expressions to make them more relatable. However, at some point, they become so human-like they’re unsettling, and that favorability drops significantly; this is known as the uncanny valley. If their features become even more human like, to the point where they’re barely distinguishable from other humans, they can climb out of that “valley” and become favorable again. Applied to the realm of friendship and personal interaction, the uncanny valley is a major hurdle that developers need to overcome. Many roboticists are overcoming the hurdle by stopping before they get to the valley—hence, non-human-like forms like Zenbo and the Care-O-bot. But the valley may still be a problem for the human-like nature of conversations; one strange phrase or glitch could compromise the human illusion, and remind us that we’re just dealing with a machine. Whether you like the idea of having a truly personal conversation with a robot or not, you’ll have to prepare for the reality that it’s coming. Creating chatbots and personal assistants with friendlier, more emotionally driven functionality is the most efficient path toward more accessible, convenient technology. That doesn’t mean you’ll need to abandon your childhood best friend in favor of a new robot companion, but it does mean you should prepare for some drastic changes in the way you use your devices—and quite possibly, prepare for more humanlike devices in your near future.